The ECPOA takes an active approach to helping others in our community in a variety of different ways. Each year, we host the Hawaiianaires Golf Tournament to raise money for the ECPOA Memorial Fund. 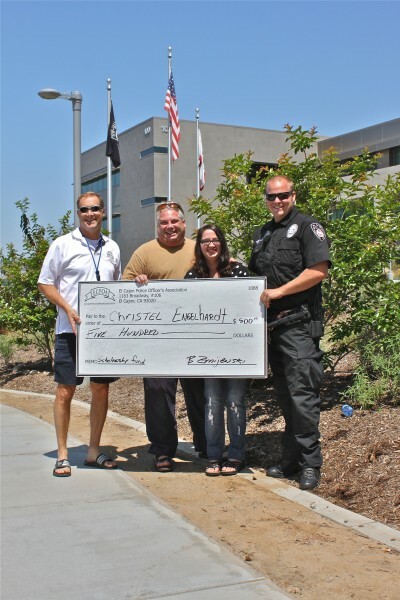 It is through this fund that we are able to help out families of fallen officers, support youth sports, and provide scholarships to college-bound El Cajon high school seniors. ECPOA Members also participate in an annual mustache-growing competition in the month of October with El Cajon Fire Fighters called OctoberStash. Each year, during our annual holiday party, ECPOA Members come together to raise money for a local nonprofit organization or charity that works to better our community and helps people in need. Over the past ten years, ECPOA Members have raised over $30,000 in our efforts to help others when we are off duty. Click any of the links below to make a donation.